According to a size chart posted on Godzilla-movies.com, Godzilla now stands at 150 meters tall and is stockier than ever! The revelation of Godzilla's enormous dimensions begs the question: What does Godzilla eat? 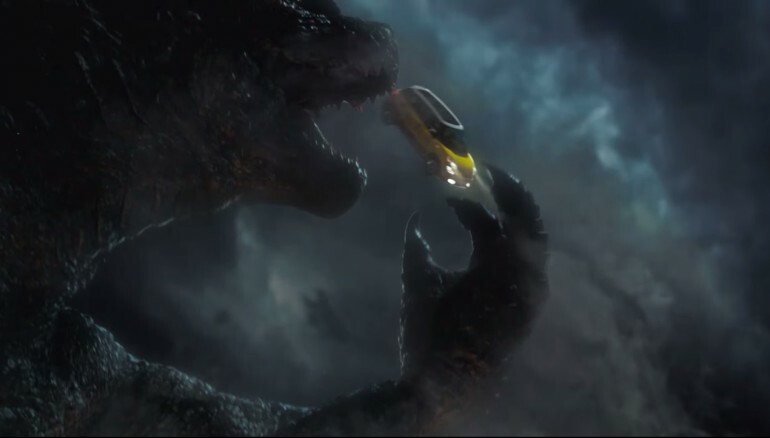 According to the new Fiat 500L commercial, Godzilla loves Italian! To be exact, Godzilla is seen swallowing Fiat 500 city cars whole. Considering the size scale, we assume the Fiats are akin to colorful Jolly Ranchers for the massive lizard. After treating himself to a Rosso Brillante Red Fiat 500 Sport and a Luce Blu 500 Pop, Godzilla went for a Giallo yellow Fiat 500L next. However, the 500L is apparently a little bigger than Godzilla thought, forcing the lizard to spit it back onto the road again. The Fiat 500L starts at $19,195. It is equipped with a 1.4 liter Multiair Turbo engine, producing 160 hp and 184 lb.-ft. of torque. Finally, the 500L is rated at 25 city/ 33highway. Without further ado, watch the Godzilla Fiat 500L commercial below!